If you’re a foreign, non-resident company providing goods – and to a lesser extent business services – then you may be required to register for Italian VAT with the local tax office. Italian VAT is referred to as ‘Imposta sul valore Aggiunto’, or ‘IVA’, and there are a number of scenarios when a business may be required to register for local VAT. Organising events, conferences in Italy. The supply and installation of services. Supplying goods to non-taxable customers & businesses in Italy. Distance selling to private individuals in Italy. Additionally any non-resident business that has a permanent establishment in Italy, must be VAT registered. A common scenario where a foreign business is required to register for Italian VAT is when a company is selling goods to consumers across the Internet (e.g. an e-commerce website). This process is known as Distance Selling where the tax is placed on the final consumer and countries will expect a businesses to register, charge and collect local VAT. If you’re involved in distance selling, you will be required to register for Italian VAT if your sales exceed the €35,000 threshold in a calendar year. There are however no distance selling thresholds for electronic or digital services to consumers under the new MOSS VAT rules. For any distance sales of excise goods (alcohol, tobacco and fuel) you must register for VAT in Italy regardless of any threshold. If your business is located outside of Italy and you provide a “business service” to a VAT registered customer in Italy, then it’s likely that the Italian customer will be accountable for any VAT. This is known as “reverse charging” and in this instance it’s unlikely that you will have to register for Italian VAT. What documentation is required to request a VAT number? In order to proceed with a VAT registration, you will need an Italian VAT number. We request the following documents officially translated in Italian and no older than 3 months. Original VAT certificate of your company, notarised and with the apostile for Italy. 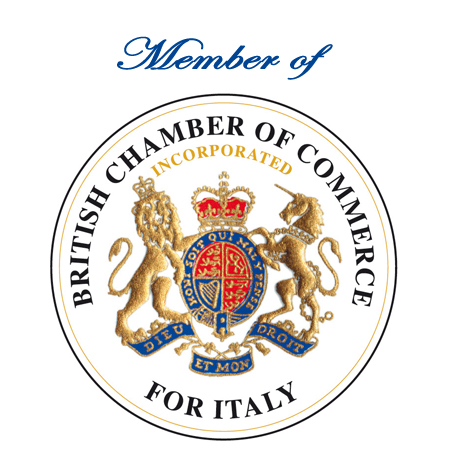 Original certificate from the Chamber of Commerce, notarised and with the apostile for Italy, including all the company information: name, address, registration number, activity, directors and shareholders. Quarterly Intrastat: The Italian Intrastat lists all your sales and purchases within the EU. There will be fines for late registration if taxable supplies have already been provided, and potential interest charged on any late payments. Tax Returns on your Italian turnover will continue to be taxed in your home country. Italian VAT payments can be made via the electronic F24 form, or directly to the Italian Tax Office with a dedicated Bank Account (via Bank Transfer). The timescale is approximately 5 weeks from the moment we receive the original documentation requested. The standard VAT rate in Italy is 22%. Reduced VAT rates of 10% apply for pharmaceuticals, passenger transport, admission to cultural and entertainment events, hotels, restaurants, and a reduced rate of 4% on foodstuffs, medical and books. What is the tax point for Italian VAT? The tax point refers to the time when the supply of goods has been made. Within the EU this is determined as the completion of the services. In Italy, it is considered as the point of transfer of title, namely the date of payment or partial payment. If you have any questions or would like to discuss how we can assist you with obtaining and Italian VAT number, please contact and one of our VAT experts will be happy to help.